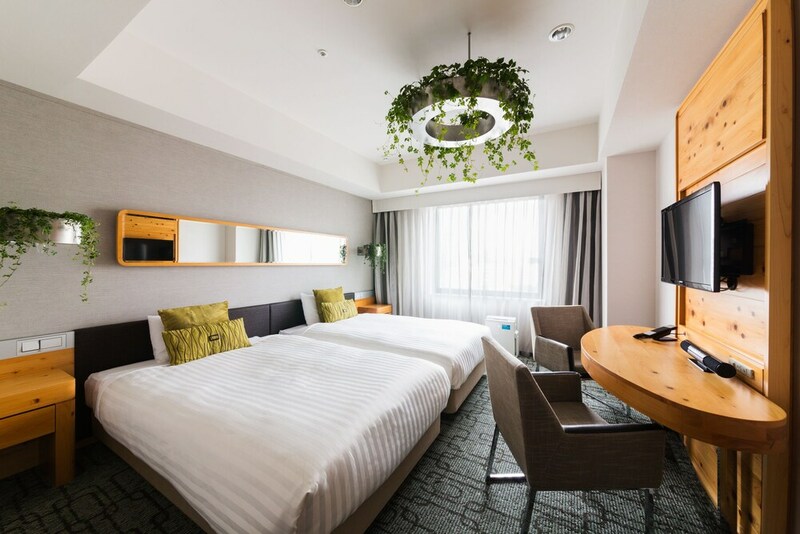 Located in Shibuya, this hotel is within a 10-minute walk of Shibuya Hikarie and Shibuya Crossing. Cerulean Tower and NHK Hall are also within 1 mile (2 km). Tokyo Shibuya Station is 8 minutes by foot and Shibuya Station is 12 minutes. A restaurant, a bar/lounge and coffee/tea in a common area are available at this smoke-free hotel. WiFi in public areas is free. Additionally, laundry facilities, a 24-hour front desk and a computer station are on-site. All 195 rooms boast deep soaking bathtubs, and offer free WiFi and flat-screen TVs. Free wired Internet, fridges and hairdryers are among the other amenities available to guests. The hotel offers a restaurant. A bar/lounge is on site where guests can unwind with a drink. A computer station is located on-site and wireless Internet access is complimentary. This business-friendly hotel also offers vending machine, coffee/tea in common area and laundry facilities. JR-EAST HOTEL METS SHIBUYA is a smoke-free property. JR-EAST HOTEL METS SHIBUYA has a restaurant on site.